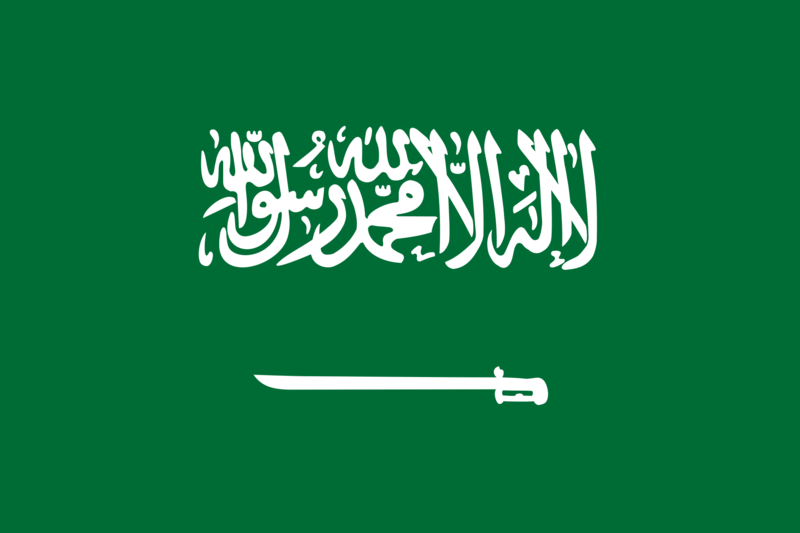 Political parties remain outlawed in Saudi Arabia. As a consequence there is no organised political opposition inside the kingdom. Political dissent to the ruling regime is subject to criminal prosecution. Saudi Arabia has continued with its crackdown on one of the country’s most prominent political rights organizations, the Saudi Civil and Political Rights Association (ACPRA). In 2015 ACPRA co-founder Muhammad al-Bajadi was sentenced to 10 years in prison on charges which included acquiring banned books and organizing protests by the families of prisoners. Several other ACPRA members remained imprisoned in 2015. Formation of association is subject to political vetting. In March 2016 a new Law on Associations and Foundations came into effect. Existing associations were given one year to bring themselves into compliance with the law. The law seeks to restrict the scope of civil society activity by making them subject to undefined phrases such as violations of Islamic Sharia, violation of public morals, and breaches of national unity. The law also subjects associations to extensive government interference in their domestic affairs and places restrictions on links with foreign organisations. On 31 January 2014, Saudi authorities promulgated the Penal Law for Crimes of Terrorism and its Financing (the “terrorism law”), which criminalised dissent. The law has serious flaws, including vague and overly broad provisions that allow authorities to criminalize free expression, and the creation of excessive police powers without judicial oversight. The law cites violence as an essential element only in reference to attacks carried out against Saudis outside the kingdom or onboard Saudi transportation carriers. Inside the kingdom, “terrorism” can be non-violent – consisting of “any act” intended to, among other things, “insult the reputation of the state,” “harm public order,” or “shake the security of society,” which the law fails to clearly define. Political and civil society activism continues to be subject to official sanction with the default position of the Saudi regime being to imprison and thereby silence any form of criticism of its legitimacy and/or policies. There are tens of thousands of political prisoners in Saudi Arabia’s jails, incarcerated for nothing other than criticising the regime or advocating political reforms. The situation has not changed since our 2011 report (https://ihrc.org.uk/attachments/article/9867/Saudi%20Report%20A4-v04.pdf) into political prisoners. Political imprisonment in Saudi Arabia is an epidemic has not spared any sector of Saudi society, including reformists, human rights activists, lawyers, political parties, religious scholars, bloggers, individual protestors, as well as long-standing government supporters who merely voiced mild and partial criticism of government policy. The known political prisons in Saudi Arabia have a capacity to hold 10,000, yet insider reports confirm these prisons to be oversubscribed three times over, with some prisoners even known to be held at irregular detention facilities, putting the actual number of political prisoners at over 30,000. Those who have protested against family members being imprisoned for political activities have themselves been arrested. The practice of arbitrary arrest and detention continues without trial for extended periods continues to give cause for concern. Security authorities continued to carry out arbitrary arrests and detentions without charge or trial for prolonged periods without referrals to a competent court. Saudi Arabia has a Code for Criminal Procedures but it falls well short of the international standards for basic defendant rights. For example, the code gives the prosecutor the right to issue arrest warrants and prolong pretrial detention periods without judicial review. Another example is that statements obtained from people under duress due to torture or undignified treatment are permitted in court. Detainees are often held incommunicado during interrogation and denied access to lawyers. In February 2017, the UN Working Group on Arbitrary Detention found that Ali al-Nimr, Abdullah al-Zaher and Dawood al-Marhoon, three young men arrested on protest-related charges and at risk of imminent execution, were detained arbitrarily. The Working Group stated that the men had been deprived of their liberty without any legal basis, as they were prosecuted and sentenced on the basis of laws enacted two years after their arrest, contrary to international law. In November 2017, Saudi authorities launched a an anti-corruption crackdown targeting hundreds of the kingdom’s wealthiest public officials and businessmen, detaining them without charge and holding them until they came to a financial settlement with the state. Those who have so far refused to comply remain in detention. The use of torture remains widespread. The penal code bans torture, but allegations of torture by police and prison officials are common, and access to prisoners by independent human rights and legal organisations is strictly limited. Security officials continue to torture and otherwise ill-treat detainees with complete impunity. There are multiple reports that the authorities “physically mistreated or coerced prominent people” during the anti-corruption purge. On 11 March 2018 the New York Times reported on the hospitalisation of at least 17 of those detained, including one, Maj Gen Ali al-Qahtani, an officer in the Saudi National Guard, who died while still in custody. His neck, the report said, was twisted unnaturally as though it had been broken, and his body was covered in bruises consistent with abuse. In July 2017, the Supreme Court of Saudi Arabia upheld the death sentences of 14 men who were found guilty of various charges in proceedings which fell well short of international fair trial standards. The men – who were tried en masse, told the court they had been subjected to lengthy pre-trial detention in which they were tortured into confession. The Specialised Criminal Court which originally tried the men had relied heavily on coerced confessions. Among the 14 is Mujtaba al-Sweikat who was charged with trying to organise political events through Facebook. Just 17 at the time, was accused of “supervising” a group on Facebook and “photographing the demonstrations, which is punishable according to the cybercrime bill”. There is little doubt that the liberal use of the death penalty in the kingdom is a tool for crushing dissent. According to UK human rights group Reprieve, up to December 10, 2017, a total of 137 people have been put to death since the start of the year. Saudi Arabia executed 158 people in 2015 and 154 in 2016, the highest numbers in two decades. Saudi Arabia continues to repress and systematically discriminate against the country’s twelver Shia population, who are believed to represent approximately 15% of the country’s total population. The Shia are largely concentrated in the Eastern province. Discrimination includes religious freedoms and government employment. Shiite students generally cannot gain admission to military or security academies or find jobs within the security force. In the education system the Shia may not teach religion in class, and bias is also present in the judiciary where judges sometimes disqualify Shia witnesses on the basis of their religion and exclusively follow tenets of Sunni religious law. The outbreak of unrest in the Eastern province in 2011 during the Arab Spring saw the authorities clamp down on the area with the use of excessive force. The criminal justice system in particular has been used as a cudgel to mete out draconian punishments against Shiites following egregiously unfair trials. Saudi courts have tried dozens of cases against Shiites for protest-related crimes, even handing down and carrying out death sentences. The 14 men mentioned above facing execution are all from the Shia minority. The tribulations of Mikhlif al-Shammari are a case in point. An outspoken Sunni writer and notable from a prominent tribe with both Sunni and Shia branches, Shammari conducted outreach on behalf of Saudi Shias — attending Shia sermons and funerals and defending Shia clerics from attacks by Salafists — which endeared him to Shias and stoked the ire of Sunni conservatives. On 3 November 2014 a criminal court sentenced him to two years in prison and 200 lashings for meeting Shia leaders in the east and reportedly paying condolences to the family of a slain Shia protester. The execution of Shia leader Sheikh Nimr al-Nimr on 2 January 2016 is another case in point. The outspoken leader was convicted in 2014 under charges that included disobeying the ruler, inciting sectarian strife and encouraging, leading and participating in demonstrations. Sheikh Al-Nimr had been an outspoken critic of the Saudi monarchy and his calls for equality and reform. He supported the right of people to choose their own government and called for the downfall of the Saudi ruling family. Sheikh Nimr was detained in 2012 against the backdrop of rising public unrest and dissension in Saudi Arabia as the Arab Spring took hold across the Middle East.Skeikh al-Nimr became a symbol of the uprising, and prompted an escalation of violence by the Saudi security forces. Reform anti-terrorism legislation so that it is precisely defined for purposes of combating terrorism and not used as a tool to stifle political dissent.